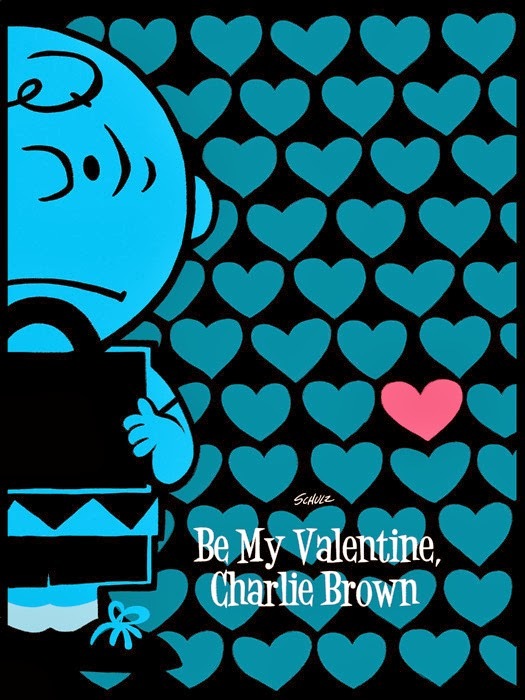 Issue #16 of Peanuts goes on sale Wednesday, February 26. New stories in this month's installment of Boom! Studio's comic book include "The Artists," "New Shoe Zoom," "The Doctor is Way In," and "She Loves Me, She Loves Me Not." Comic Book Resources has a five-page preview of the issue. As it does after every four issues, the monthly Peanuts comic book will be taking a break in March and return in April. 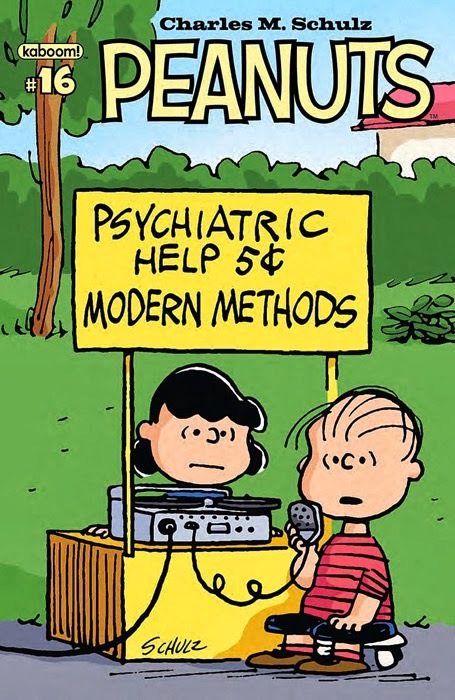 However, early in March will see the release of Peanuts Volume 3, a trade paperback collecting issues #5-8 of the comic (which were published separately last year). 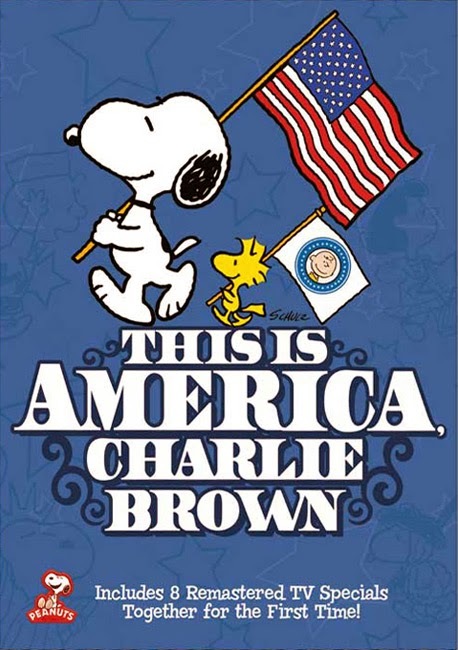 On June 17, Warner Home Video will release all eight episodes of This is America, Charlie Brown in a two-disc DVD box set. 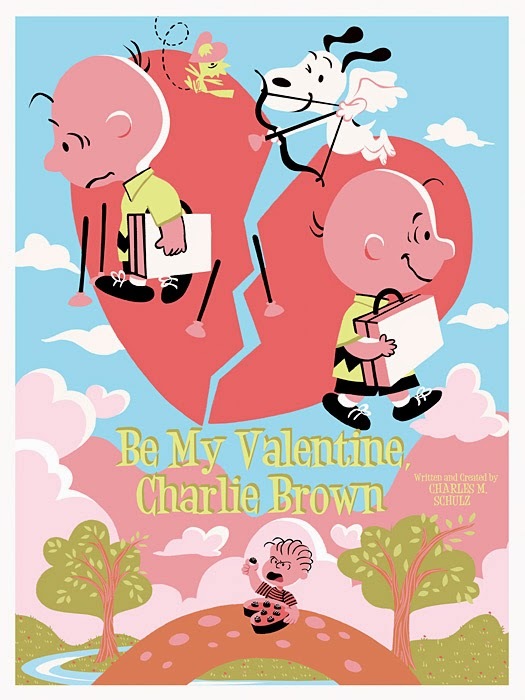 This isn't the first time all the episodes of This is America, Charlie Brown have been released on DVD - Paramount released a DVD set with the exact same contents back in 2006 - but that set has been out of print for many years, so this is a welcome reissue. (Given the previous release, Warner's claim on the cover that the specials are "together for the first time" is hogwash.) The Mayflower Voyagers appears as a bonus feature on the A Charlie Brown Thanksgiving DVD and Blu-ray, but otherwise, there is no duplication with other Warner Peanuts DVDs. The list price for the set is $26.99, and it can be ordered from online retailers now.